See below for complete list of Icelandic Sheepdog characteristics! For centuries the Icelandic Sheepdog was used to protect flocks, especially lambs, from birds of prey, and to this day he retains the habit of watching the sky and barking at birds. He also barks to alert his family to anything and everything that he sees or hears. He's too friendly to be much of a guard dog, but you'll never be surprised by visitors. The Icelandic Sheepdog is just shy of being a medium-sized dog. Males stand about 18 inches at the shoulder, females stand 16.5 inches. Weight is in proportion to height, ranging from about 20 to 30 pounds. 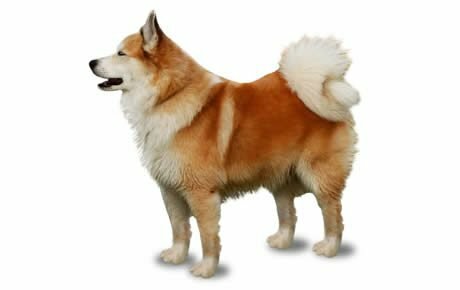 The thick double coat of the Icelandic Sheepdog is very waterproof and can be one of two lengths: medium or longer, always with a thick, soft undercoat. 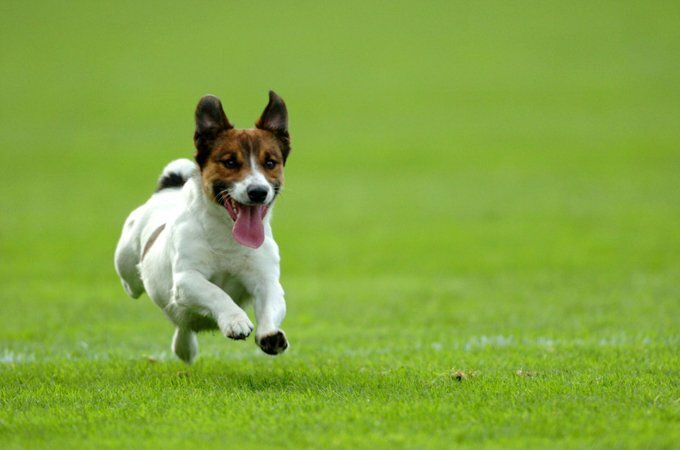 It can be straight or slightly wavy, and it comes in several colors — shades of tan, ranging from cream to reddish brown; chocolate brown, gray; and black — all with white markings and sometimes with a black mask. The tail is very bushy. Weekly brushing will keep the coat in good shape.